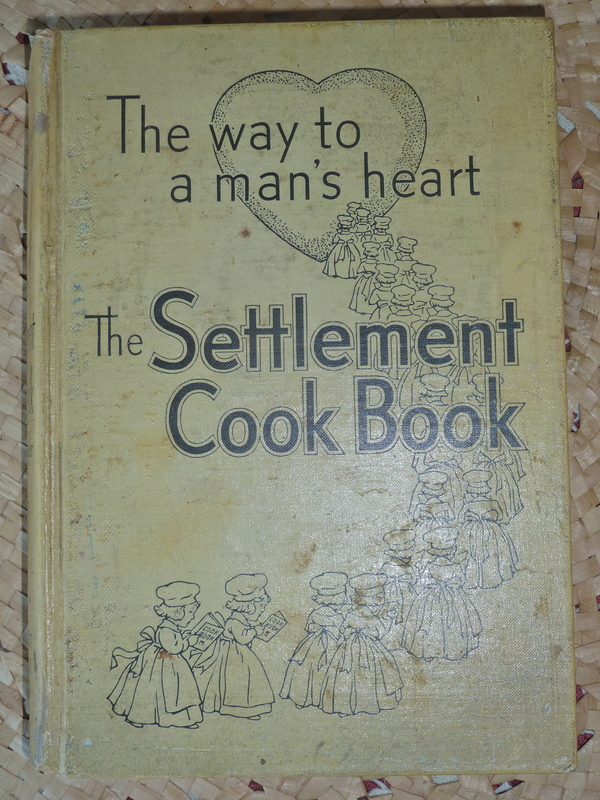 I found this cool old cookbook in my mother’s kitchen. I think she found it in her mother’s kitchen. I probably won’t want to try the recipe for jellied chicken, though the one for shredded wheat with malted milk looks intriguing. But mixed in among these quaint items are lots of recipes that look fun to try. I found one recently that I thought could help me with my jam problem. 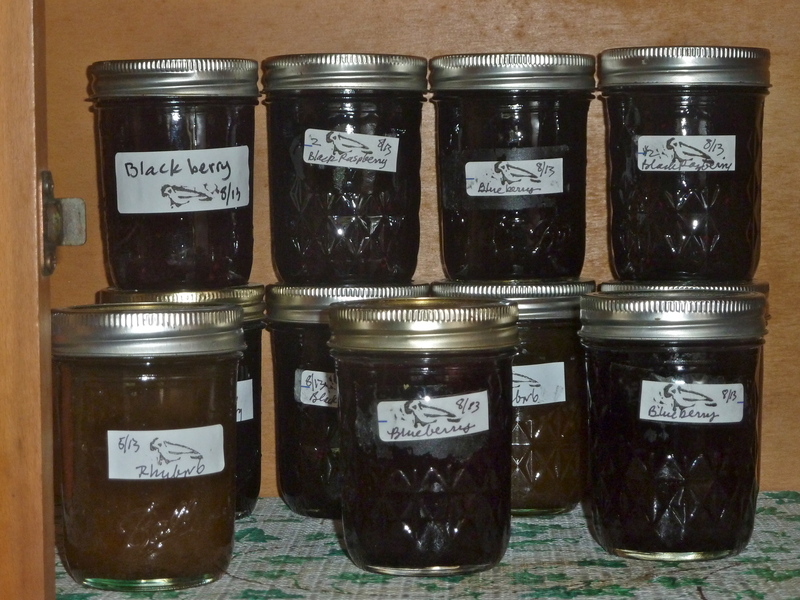 Jam making season is almost here, but I still have lots of last year’s jam in the cupboard. I don’t think I can eat that much toast in such a short time. 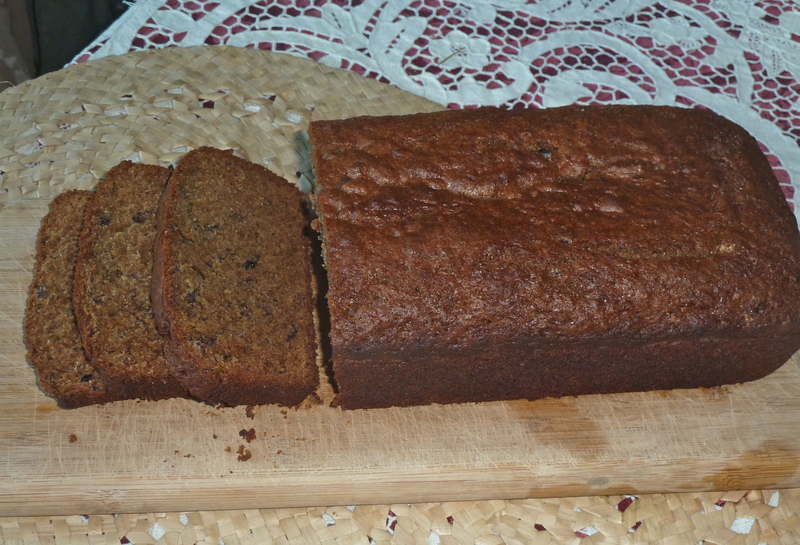 The recipe I found is for “Blackberry Cake” and features blackberry jam. Well, I have lots of that on hand. Mix together the dry ingredients. In a large bowl, cream the butter and sugar, then add the eggs, jam, and milk. Mix well. Fold in the dry ingredients. Bake at 350° in a greased loaf pan for 45 minutes. Let cool before slicing. If you spread peanut butter on a slice, it might taste like a P,B & J sandwich. In case you’re wondering, the blackberry jam I used was made from the wild blackberries that grow behind my house. The blueberries came from a pick-your-own farm. This entry was posted in fruits, recipes, wild foods and tagged baking, jam, recipes. Bookmark the permalink. Wow. That dates me. I had one of those same cookbooks. It was the bible back then. Thanks for visiting, Louise. I love those old cookbooks. They have lots of useful basic recipes. I am especially partial to the 1976 edition of the Joy of Cooking (not the same vintage as the Settlement Cookbook , I realize).